To send flowers to the family of Margaret Ellen Brown, please visit our Heartfelt Sympathies Store. 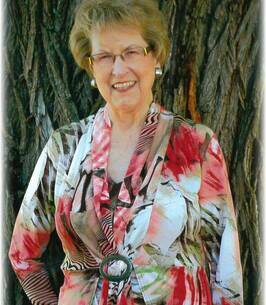 In Memory of Marg Brown, a truly amazing lady who lived her life with grace, love & kindness. My friendship to Marg and her lovely family is dear to me and I will always savor my memories of that friendship . We are thinking of all of you and hope you are coping okay. Auntie was a wonderful person and will be missed by all who knew her. We will miss you Auntie Margaret, your wonderful presence and beautiful soul. Hope you are enjoying reuniting with all your loved ones who passed before you. We will keep your loving family in our thoughts and prayers. Dear Trudy, please accept my sincere condolences on the passing of your mom. I have very fond memories of your family and our time as roommates in Calgary. Dear family, Please accept my sincere condolences. Although I didn't know her well I remember her from meeting at Bowden United Church and of course our children all attended Bowden School. She was a lovely person. I wish all the family peace at this sad time.